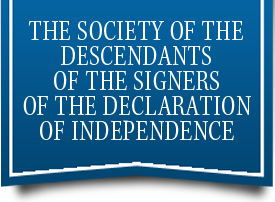 The first active steps toward the formation of the Society were taken on July 4, 1907 at the Jamestown Exposition near Norfolk, Virginia, where descendants of the signers of the Declaration of Independence had gathered upon invitation of the Thomas Jefferson Memorial Association and the Exposition officials to assist in an impressive celebration of the one hundred and thirty-first anniversary of the “Immortal Declaration.” After the public exercises of the day over one hundred and fifty descendants, representing a majority of the fifty-six signers, assembled in the Pennsylvania State Building on the Exposition grounds and a temporary organization of the Society was effected. The meeting was then adjourned to October 19th when a large number of those who first assembled, and many others, met in the Maryland State Building on the Exposition grounds, adopted a Constitution and elected officers for the current year to end July 4, 1908. The officers then elected were: Mr. Albert McClellan Mathewson of New Haven, Connecticut, President; Mr. Thomas Jefferson Randolph of Norfolk, Virginia, Secretary; and Mr. William Shields McKean of Washington, D.C., Treasurer. The First Congress of the Society was convened at Philadelphia on July 3 and 4, 1908, meetings being held in the old State House, generally known as “Independence Hall,” in the room in which the Declaration of Independence was adopted and signed. The Society has continued an unbroken sequence of activities and meetings since then. The Annual Congress of the Society shall be held every year in Philadelphia, Pennsylvania, whenever possible in Independence Hall, on a Saturday between May 9th and June 13th or on a July 4th weekend. Since its founding in 1907 the society has successfully completed a great many patriotic and commemorative projects. Annual scholarships are awarded to deserving boys and girls descended from one of the Signers. 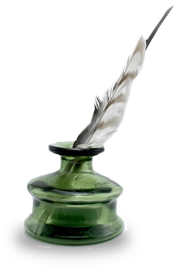 Tablets or other memorials have been placed at birth places, homes, or graves of the Signers wherever such were unmarked. Through the efforts of the society the grave of Francis Hopkinson, unknown for over a century, was identified. It sponsored the preservation of the Frank Willing Leach MSS, containing the lines of all descendants of the Signers which could be ascertained at the time of their compilation. Contributions are constantly being made toward the restoration or preservation of such historic monuments as Independence Hall itself, St. Paul’s Church, Eastchester, N.Y., birthplace of freedom of the press, the Powel House in Philadelphia, home of the last pre-Revolutionary and first post-Revolutionary mayor of the city, Stratford Hall, home of the Lees, etc. The insigne of the society was presented to the tomb of the Unknown Soldier at Arlington in 1933, and its flag was given to the National Cathedral in Washington, D.C. It gave the plate for the leaflet bearing the description of the church which is handed to all visitors to Bruton Parish Church, in Williamsburg, Va. as a memorial to the Signers who worshipped there. 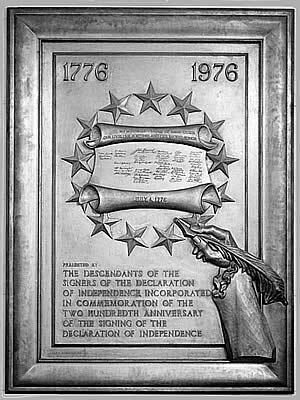 In March of 1976 a bronze plaque was unveiled in the East Lobby of the Capitol Building in Washington, D.C. commemorating the fifty-six signers. The plaque was designed and made by Alan Robbins.